Whether you are investigating a new product concept, launching or testing a new product, considering market expansion or market opportunity or you are interested in knowing what your competitor’s strategies are, SIS can help you with the design of your research project. SIS provides you with a recommended research design that will provide you with answers and satisfy your business objectives. Our research design offers you alternative and innovative methods that can fit your budget. 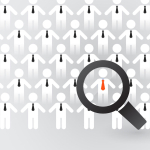 Market Segmentation Research for Boosted Sales, Profitability & Competitive Advantage.